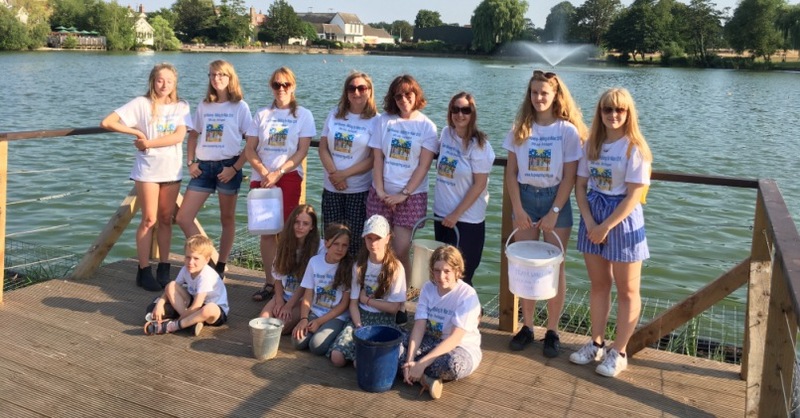 Waveney mums Tara, Katie, Sophie, Suzanne and their children embarked on a challenge titled Team Waveney walk for water on the 31st of August 2018. The walk for water challenge, was to highlight issues around water poverty and to raise money for Hope Spring Water , concluded on Friday 3rd of August 2018. The challenge was the brainchild of Tara Darrall. Writing on the page set up for the challenge, Tara wrote “Sometimes you realise just how lucky you are. Tara kept a daily diary of each walk, with at least a picture every day, over the 5 day period. The entry on the first day read “We set off nice and early, 8am, to avoid the warmer temperatures, however we had rain instead. Which was fine. Everyone did really well. There was some good chatter about how life is for those that have to collect water everyday. Reality hit when we got to the collection point and they all realised the weight of carrying any useful quantity of water.” You can read the full daily walk for water diary on this page. Over 340,000 children under the age of 5 years die annually due to diseases caused by unsafe water, inadequate sanitation and hygiene. 263 million people spent over 30 minutes per round trip to collect water from an improved water source (figures by the UN for 2017). Some spending up to 6 hours every day collecting water. 159 million people only had access to surface water, ie water coming directly from a river, dam, pond, stream etc. You can read more about challenges facing developing communities at Hope Spring’s website. You can connect with Hope Spring on Instagram, Twitter and their Facebook page. Press release distributed by Newsmakers on behalf of Hope Spring, on Friday, 10 August 2018. For more information subscribe and follow https://twitter.com/newsmakers_pr .